Lyrics to "Where the Columbines Grow"
The pioneer land that we love. 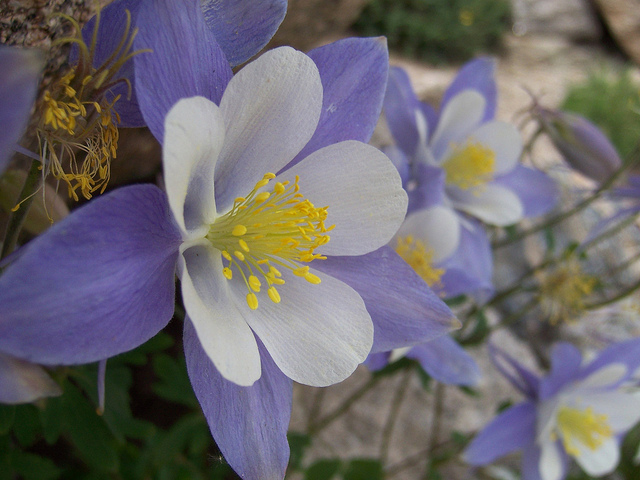 Softly sings where the columbines grow. But the columbine blooms just the same. Till our great mountain rivers run dry.